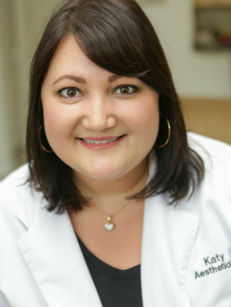 Katy is a licensed Aesthetician, Electrologist and Permanent Makeup Artist. She has been practicing aesthetics for almost 10 years. Katy specializes in a wide variety of skin care treatments including, Rosacea, Acne, Hyper-pigmentation (brown spots), and treating signs of aging. She was trained in the latest techniques of Micro-Pigmentation, which is a specialization in the “Hair Stroke” Microblading technique. Her passion is to help women look fabulous and feel confident and has built her reputation on hard work and perseverance. She believes education is a necessity and takes pride in continuing to learn the latest techniques and products in her field. She offers complementary consultations and looks forward to meeting you soon!